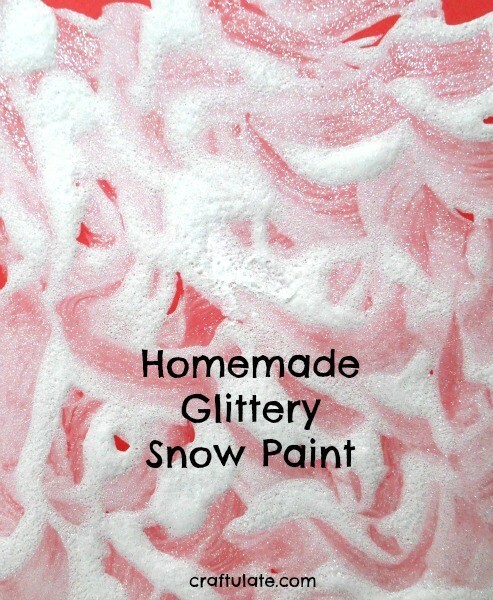 This glittery snow paint recipe is so easy to make! It looks so beautiful and has a lovely texture, too! 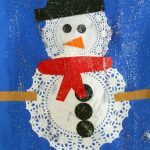 It’s been a while since we made our own paint – I used to make lots when my son was a toddler to keep things taste-safe. 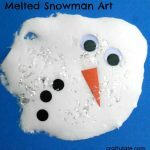 But I was really glad that I decided to make our own snow paint as I think F enjoyed making the paint as much as he did using it! Now I have to confess that I don’t have precise measurements for you – mainly because we just enjoyed adding the “ingredients” to a bowl and mixing it up! But I’d say we used around 2 parts paint, 2 parts shaving cream, and 1 part glue. The shaving cream gives the paint a soft, slightly puffy texture, and the glue helps the shaving cream dry onto the card. After we had added the three items mentioned above, we tipped in some loose glitter. I seem to have loads of these little packets hanging about so this was a wonderful way to use them! When everything was mixed together, F started painting on colored card. It was soooo sparkly! The pictures took a few hours to dry completely. One of the pictures I cut into half and then folded into cards so that we could write some thank you notes for Christmas presents! However I would recommend spraying them with some sealer before sending so the recipient doesn’t get a shower of glitter! 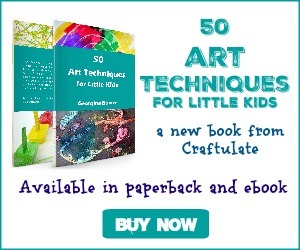 This is a great activity – the mixing, the painting, the glitter!. I love how the artist is using 2 brushes at a time.